Barack Obama was the 44th President of the United States who has served in office since January 20, 2009. What was the early life of Barack Obama like? The short biography of President Barack Obama covers important information and facts about his early life, his family, career and the famous events and achievements of his political life. Our short biography of Barack Obama provides an interesting and easy way to learn about the life of the President. The following important facts provide a fast overview of important facts about President Barack Obama. Facts and Info: Barack Obama is the 44th president of America and is the first African American to be elected president of the United States. His term in office started in 2009. The important events of presidency have included the economic crisis at home and the on-going fight against terrorism. For additional info refer to 20 Facts about Barack Obama. Facts and Info: Barack Hussein Obama II was born August 4, 1961 in Honolulu, Hawaii. His parents were Ann Dunham, a white American from Kansas, and Barack Obama who was a black Kenyan studying at the University of Hawaii. Barack Obama's father left the family when Obama was two and returned to Kenya where he died in an automobile accident. He was educated at Columbia University and Harvard. The career of Barack Obama includes the roles of Community Organizer, Politician and Statesman. 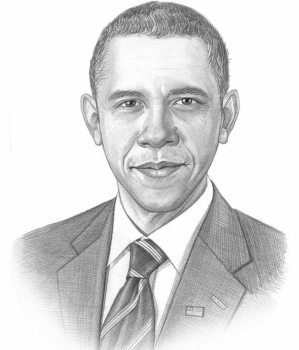 He became the 44th president of America in 2009. Facts and Info: The career of Barack Obama included the roles of Lawyer, Politician and Statesman. He became the 7th president of America in 1829 and served for 8 years until 1837. By the late 1830s the Jackson administration had relocated nearly 50,000 Native Americans. Facts and Info: Barack Obama married Michelle LaVaughn Robinson on October 18, 1992 following a brief courtship and engagement. Barack Obama and his wife have 2 children. Their names are Malia Ann and Natasha, known as Sasha. Facts and Info: Barack Obama belongs to the Democrat Political Party. He was 47 years old when he was inaugurated as the 44th president. Inauguration is a president's swearing-in ceremony. Joe Biden stood as the Vice president. Barack Obama is the first African American to be elected president of the United and told supporters that "change has come to America" as he claimed victory in his presidential election. Barack Obama was re-elected president in November 2012 and was sworn in for a second term on January 20, 2013. For additional facts refer to his Presidential Cabinet members and the Barack Obama Presidency Timeline. Short Biography of Barack Obama: What he is like! Facts and Info: Barack Obama ISs an imposing figure standing at 6 feet 1 inches. He was known as "O'Bomber" at high school for his skill at basketball and as a teenager was called Barry by his friends and family. On his desk in the White House he keeps a carving of a wooden hand holding an egg which is a Kenyan symbol of the fragility of life. Barack Obama was awarded the 2009 Nobel Peace Prize. Facts and Info: The Foreign Policy Goals of Barack Obama included ending the war in Iraq, securing all nuclear weapons from terrorists and finishing the fight against al Qaeda and the Taliban. In May 2011 he announced that a Special Forces team had killed Osama bin Laden in Pakistan. The Domestic Policy Goals of Barack Obama included ensuring health insurance became available to all and to combat the effects of the recession. Doubts about the economic stimulus package resulted in the downgrading of the USA's credit rating in August 2011. The short biography of Barack Obama provides a fast overview of the key facts and events about his life and the accomplishments of his presidential term in office. The following Barack Obama video enables you to sit back and listen to the history of his personal and political life - a useful educational resource for kids, children and schools learning about the life of President Barack Obama.